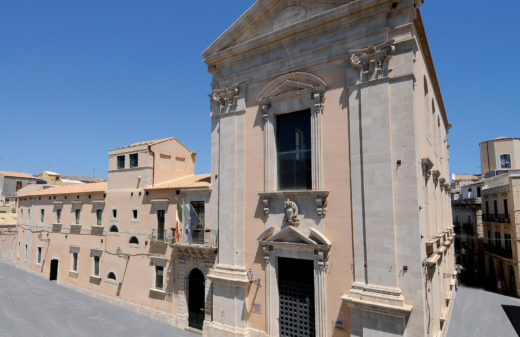 – the Rector of the University of Catania. Judge Khaled M. Ahmed is a Judge in the Court of Appeal of Tanta (Egypt), detached as Senior Legal and Judicial Advisor to the Supreme Judicial Council of Bahrain. He graduated in Law at the Ain Shams University School of Law, Egypt, and obtained a LL.M in International Criminal Law and Human Rights at the University of Georgia School of Law, USA. Judge Ahmed has worked as a Public Prosecutor, as a Judge and as qualified legal practitioner for several years. 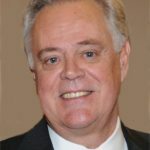 He has extended experience in the implementation of justice reform programs in the Arab region including Egypt, Iraq, Jordan, Morocco, Syria, Yemen; extensive experience undertaking reviews and producing comprehensive reports of justice reform initiatives in the MENA Region; broad ranging substantive experience in areas of human rights, judicial independence, legal and judicial reform, international criminal law, gender and juvenile justice. 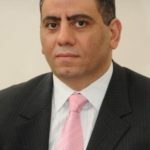 He has a solid experience working with the United Nations in Arab regional countries: between 2005 and 2006, he was the Senior Legal Affairs Officer for the United Nations Assistance Mission for Iraq; between 2006 and 2009, he joined the Programme on Governance in the Arab Region, UNDP-POGAR, as Senior Regional Expert. In 2009 he joined the European Commission as Senior Judicial Consultant and served in Egypt, Syria and Yemen. Judge Ahmed has authored and co-authored a number of award winning legal books and compendiums in Arabic in the fields of international criminal justice and human rights. José Luis de la Cuesta was born in 1955 in San Sebastian (the Basque Country, Spain). After gaining a High Diploma in Criminology (University Complutense of Madrid, 1979) and a Doctorate in Law (University of the Basque Country, 1981), he developed doctoral and post-doctoral research at the Universities of Pau (France), Edinburgh (Scotland, UK), Louvain (UCL, Belgium), and the Max-Planck Institute for Foreign and International Criminal Law and Criminology (Freiburg, Germany). 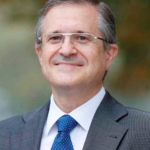 He is Professor of Criminal Law at the Faculty of Law of the University of the Basque Country (UPV/EHU), where he was elected Director of the Basque Institute of Criminology in 2000, after the retirement of its founder Prof.Dr.Dr.h.c. Antonio Beristain. He was awarded, among others honors, the Euskadi Prize for Research in Social Sciences and Humanities (2009) and, in 2011, a Doctorate honoris causa from the University Alexandru Ioan Cuza (Iasi, Romania). His contribution to the International Association of Penal Law was very rich and full of relevant achievements. He was appointed as Associate Editor of the Revue in 1987 and Chief Editor at the Congress in Wien in 1989, where he was integrated into the Executive Committee as Deputy Secretary General. He was elected as President at the International Congress in Beijing (2004), and reelected in 2009 in Istanbul. 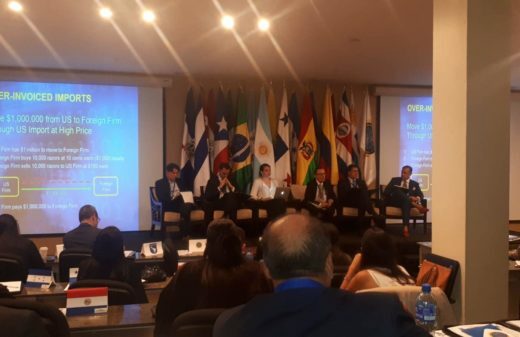 During this time, President José Luis de la Cuesta worked intensely for the improvement of the world and regional image and presence of the Association, as well as for the development of a more-efficient organization. After having served the traditional two terms, he was appointed as Honorary President at the Congress in Rio de Janeiro in September 2014. José Luis de la Cuesta is a tireless promoter of the humanization of the criminal justice system in a globalized world. His scientific production relates mainly to the incrimination of torture, the death penalty, corrections and victimology, and, in general, the principle that humanity constitutes a fundamental plea in favor of the respect for human dignity, as well as on ensuring defense guarantees to procedural rights in criminal proceedings at the various levels of the national and international penal system. 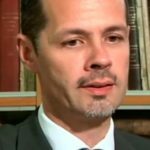 Carlos Japiassú is currently associate professor at the Federal University of Rio de Janeiro, associate professor at the State University of Rio de Janeiro and professor in the LLM Program of the Faculty of Law of Campos. He is a visiting professor at Loyola University, New Orleans, USA. Bachelor in Law at the University of Rio de Janeiro (1992), Masters in Law at the University of Rio de Janeiro (1997), and PhD in Law at the University of Rio de Janeiro (2002), Professor Japiassú is Secretary General of the Association Internationale de Droit Penal (AIDP) and counselor of the National Counsel for Criminal and Penitentiary Policies in Brazil (Conselho Nacional de Política Criminal e Penetenciária – NSCLC). He was a consultant for the International Monetary Fund (IMF) regarding terrorism financing and money laundering. His work focuses mainly on the following areas: international criminal law, criminal prosecution, and economic criminal law. 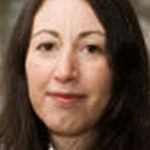 Katalin Ligeti is Professor of European and International Criminal Law at the Faculty of Law, Economics and Finance of the University of Luxemburg. Prior to that, she was a Reader at the Faculty of Law of the Eötvös Loránd University (Budapest), and a Senior Researcher at the Institute for Legal Studies of the Hungarian Academy of Sciences. She has a Master in Legal Studies from the Eötvös Loránd University (Hungary), an LLM from Bristol University (UK) and a PhD in criminal law from the University of Hamburg (Germany). She is Vice-President Scientific Coordinator of the Association Internationale de Droit Penal (AIDP), as well as Member of the Management Committee of the European Criminal Law Academic Network and Member of the editorial board of Eucrim and NJECL. 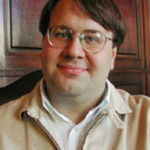 Prof. Ligeti has lead several research projects funded by the EU Commission and participated as expert in several impact assessments studies of the Commission. 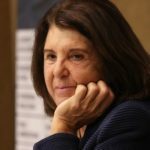 She was a member of the European Justice Forum, and acted as expert to several committees of the European Parliament (LIBE, CRIM), of the OECD and the ICTY. Professor William A. Schabas is professor of international law at Middlesex University in London. He is also professor of international human law and human rights at Leiden University, emeritus professor of human rights law at the National University of Ireland, Galway and honorary chairman of the Irish Centre for Human Rights, invited visiting scholar at the Paris School of International Affairs (Sciences Politiques), honorary professor at the Chinese Academy of Social Sciences in Beijing, visiting fellow of Kellogg College of the University of Oxford, and professeur associé at the Université du Québec à Montréal. Prof. Schabas is a ‘door tenant’ at the chambers of 9 Bedford Row, in London. 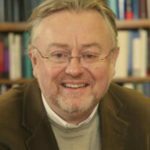 Professor Schabas is editor-in-chief of “Criminal Law Forum”, the quarterly journal of the International Society for the Reform of Criminal Law. He is President of the Irish Branch of the International Law Association and chair of the International Institute for Criminal Investigation. From 2002 to 2004 he served as one of three international members of the Sierra Leone Truth and Reconciliation Commission. Professor Schabas has worked as a consultant on capital punishment for the United Nations Office of Drugs and Crime, and drafted the 2010 report of the Secretary-General on the status of the death penalty (UN Doc. E/2010/10). Professor Schabas was named an Officer of the Order of Canada in 2006. He was elected a member of the Royal Irish Academy in 2007. He has been awarded the Vespasian V. Pella Medal for International Criminal Justice of the International Association of Penal Law, and the Gold Medal in the Social Sciences of the Royal Irish Academy. 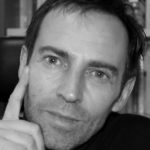 Gert Vermeulen is a Professor of Criminal Law and Head of the Department of Criminology, Criminal Law and Social Law at Ghent University. He is also the Director of the Institute for International Research on Criminal Policy (IRCP). His teaching assignment at Ghent University include: international criminal law, European institutions of criminal policy, EU justice and home affairs, European and international justice, home affairs and security, sexual offences, prostitution and human trafficking. He has a Ph.D. in Law on mutual assistance in criminal matters in the EU. He is also extraordinary Professor at Maastricht University, where he teaches European Evidence Law. 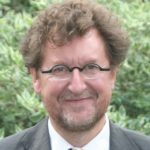 Professor Vermeulen is the Director General of Publications of the International Association of Penal Law (AIDP). He was involved in dozens of research projects and published over 700 publications, inter alia in the field of international and European criminal law and policy, in particular police and judicial cooperation in criminal matters, organised crime, terrorism, drug policy, trafficking in human beings, sexual exploitation of children, prostitution, witness protection, human rights, rights of the child and data protection. 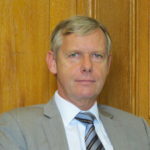 He has been a researcher, consultant and/or short-term expert for the Council of Europe, the European Commission, the Belgian, Dutch, Austrian, Slovenian, Polish and Lithuanian Presidencies of the EU, for the OECD and for the UN (expert group on THB, global report on organised crime, trafficking in human beings and smuggling of persons). He is a privacy commissioner for the Belgian Data Protection Authority. John Vervaele was honored Master of Laws (J.D./LL.M) and Master in Criminology (MA) at the University of Ghent (Belgium). Between 1980 and 1985 he was assistant researcher in criminal law and criminal procedural law at the University of Antwerp (Belgium). From 1985 till 1987 he was senior researcher at the Belgian Ministry of Justice. In 1987 he left for the Dutch Institute for Social and Economic Law Research (NISER) at the University of Utrecht. Following the successful defense of his doctorate thesis in 1988 he was in 1990 appointed Assistant Professor in criminal law and criminal procedure and secured the prestigious PIONIER subsidy of the Dutch Council for Scientific Research for the ‘Enforcement of European Law’ project (1991 1997). He established in 1991 the Centre for Enforcement of European Law at the University of Utrecht and was subsequently appointed Professor/Director in Law Enforcement and European Integration in 1992. Since 1996 he is also Professor in Economic, Financial and European Criminal Law at the University of Utrecht. Since 1996, he is Professor in European criminal law at the College of Europe, Bruges. Between 2004 and 2007, he was vice-dean of the Utrecht Law School. Between 2007 and 2010, he was vice-president of Utrecht University for Latin America. In 2014, he was elected President of the International Association of Penal Law (AIDP). 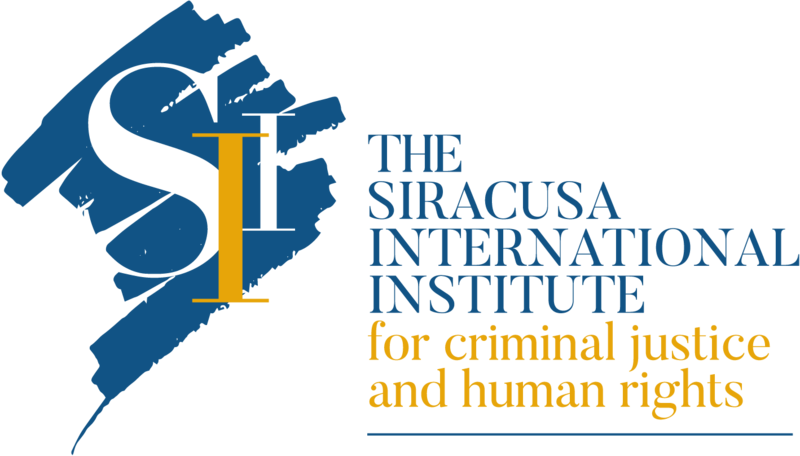 He is actually teaching criminal procedure and human rights, European criminal law, comparative criminal law, economic and financial criminal law and European integration. The main topics in his research field are: enforcement of Union law; standards of due law, procedural safeguards and human rights; criminal law and procedure and regional integration; comparative economic and financial criminal law; terrorism and criminal procedure. He has realized a lot of research in this areas, both for Dutch Departments and European Institutions and worked as well as a consultant for them. 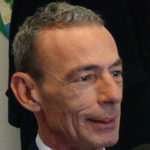 Francesco Viganò is Judge of the Italian Constitutional Court since february 2018 and Professor of Criminal Law at the Faculty of Law of the University of Milan since 2004. Born in 1966, he obtained his degree in Law at the University of Milan, in 1989. He studied Criminal Law at Munich University, Germany from 1991 to 1993 and obtained a PhD in Criminal Law from Pavia University in 1997. He served as a Research Fellow in the University of Brescia (1995-2001), where he lectured Comparative Criminal Law from 1999 to 2001 and served as an Associate Professor of Criminal Law from 2001 to 2004. He is Secretary General of the Société Internationale de Droit Pénal, Editor-in-chief of the law reviews “Diritto Penale Contemporaneo” and “Diritto penale contemporaneo – Rivista trimestrale”, Advisor of the Editorial Body of the Chilean law review “Política Criminal” and Deputy Director of the Department of Law Studies “Cesare Beccaria”. He is currently fellow of the Kompetenznetzwerk Recht der zivilen Sicherheit in Europa (KoRSE) at the Freiburg Albert-Ludwigs-University, Germany. He has been member of the Minister of Justice’s Commission on Reform of the Statute of Limitation (2012-2013) and member of the Prime Minister’s Commission on Implementing the Fight against Organised Crime (2014). 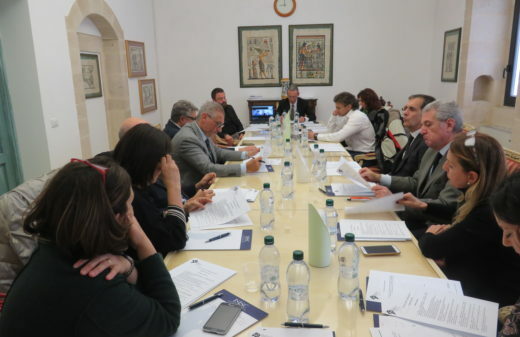 He is regularly invited as a teacher by the Italian High School for the Judiciary and has given lectures at several international institutions. Since 2012 he regularly teaches at a master in criminal law at the Centro de Estudios de Derecho Penal of the Universidad de Talca in Santiago (Chile). He speaks Spanish, English, German and French.